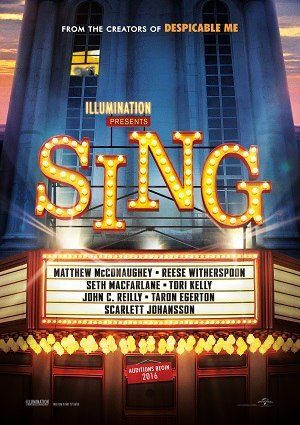 Have fun like never before and sing like you always wanted to do in this movie! Buster is a koala who owns a great theater that is going through a very difficult moment. To fix the situation and regain the lost glory of old times, it will organize the world’s largest singing contest, which attracts a multitude of animals seeking to become singing stars. We will find a joker and conceited mouse, an elephant who has panic scenic, a sow that suffers from stress due to its litter of a young gorilla from a family of gangsters, 25 piglets, and a porcupine that has its own rock band.